When planning for a patio there are several factors that should be taken into consideration before the installation process beings. Determining the location, size, and shape should all be established before any work begins. 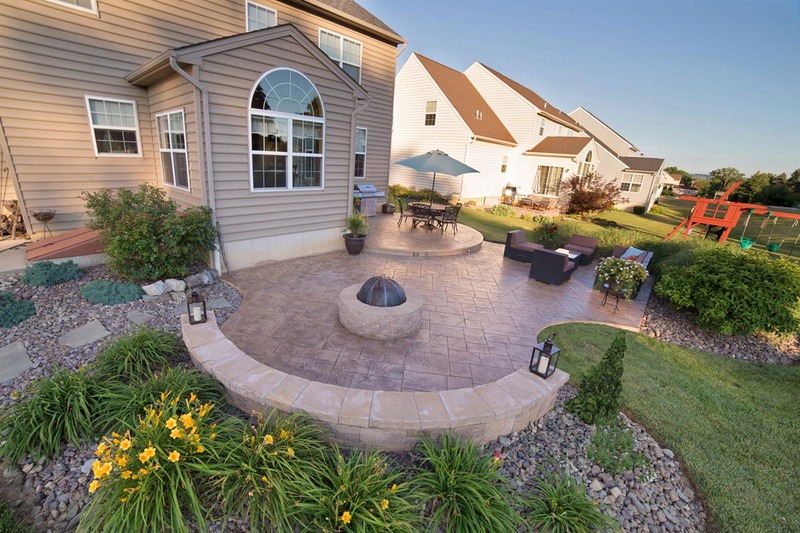 A well designed patio is likely to add more to the value of your home than it costs to build. Patios can be anything from a simple small pad outside the back door to a large expanse wrapping around a corner of a house. Typically, however, a patio is about one third the size of the house – larger perhaps than any room in the home. A 1,500 square foot house, for example might sport a 500 square foot patio, one perhaps measuring 20 by 25 feet. A good balance between the size of the house and the patio will create harmony. 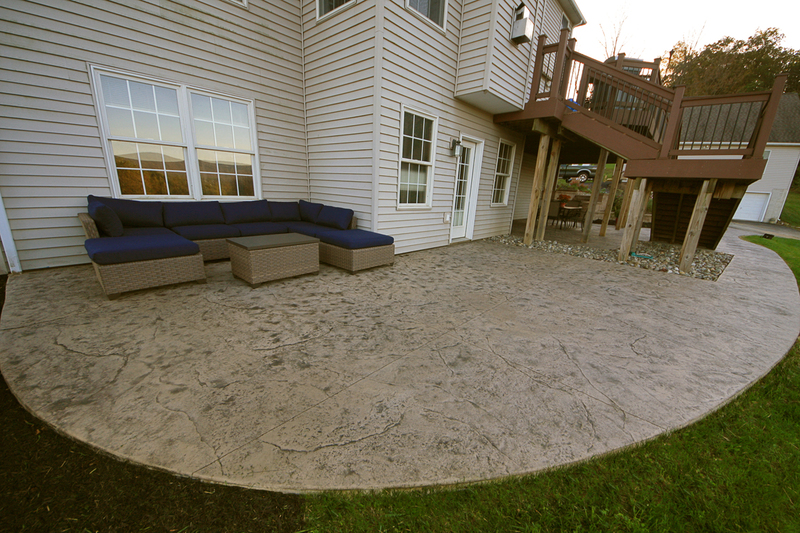 Site your patio to protect it from the hottest sun and coldest wind. Moreover, consider the terrain. 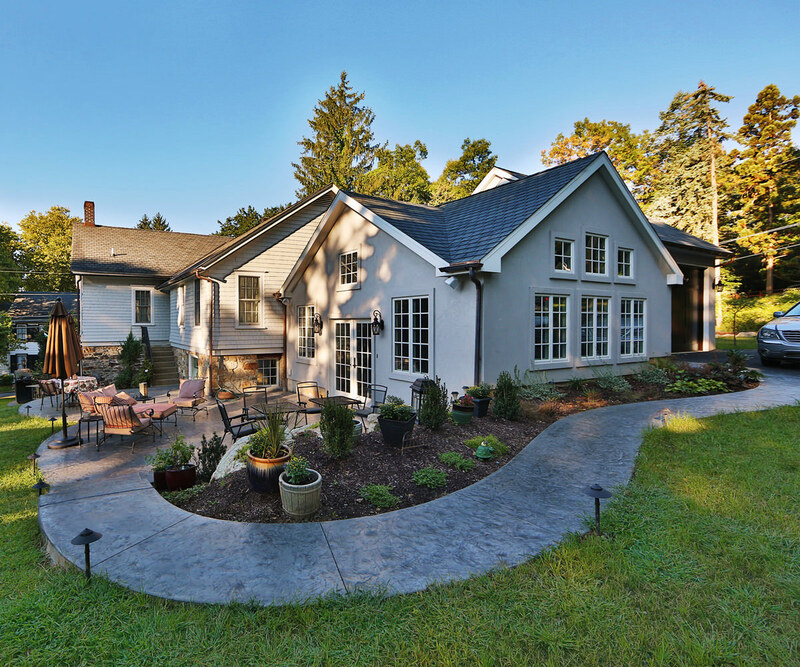 You want your patio in an area that is well drained, and at the same time, you want to make sure you’re not blocking or disrupting the existing drainage. To keep it from flooding, a patio is usually built an inch or so above the ground level. To keep rain and melting snow from leaking inside, the patio should slope away from the house at a rate of 1/4 inch per foot and should meet it 1 to 3 inches below the floor of the house. A patio can be installed as a rectangular or it can be installed more modernly using curves or a combination of both curves and straight line. Patios that curve and create gaps for other elements to be installed are more decorative. 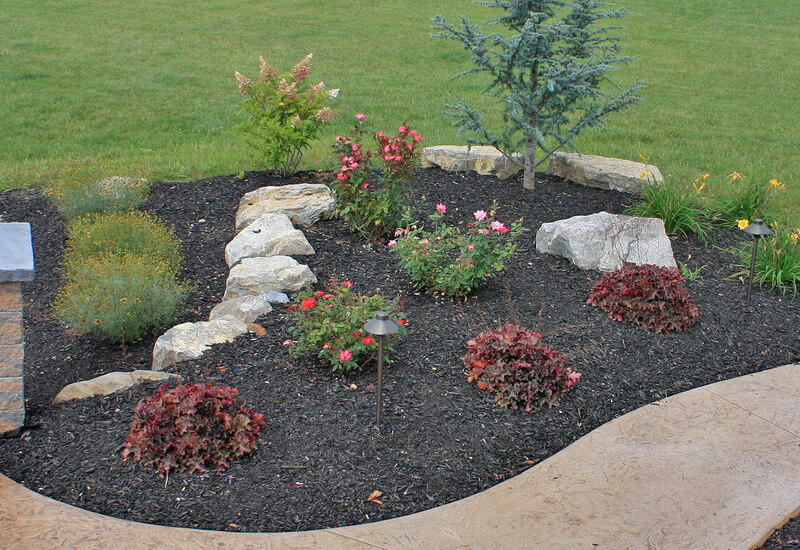 Landscape beds can be incorporated around or within the patio to create interest and to soften up the patio. 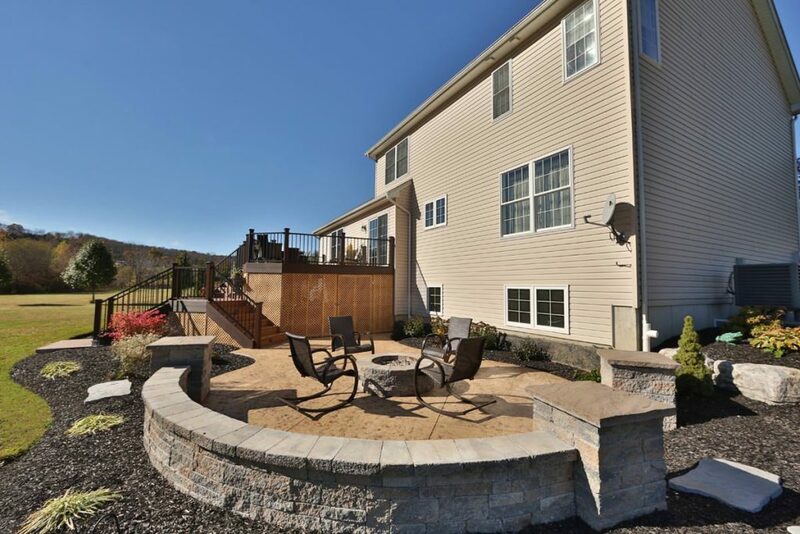 Other hardscape elements such as sitting walls, a fire pit, or steps can be incorporated into the design creating an inviting outdoor living space.